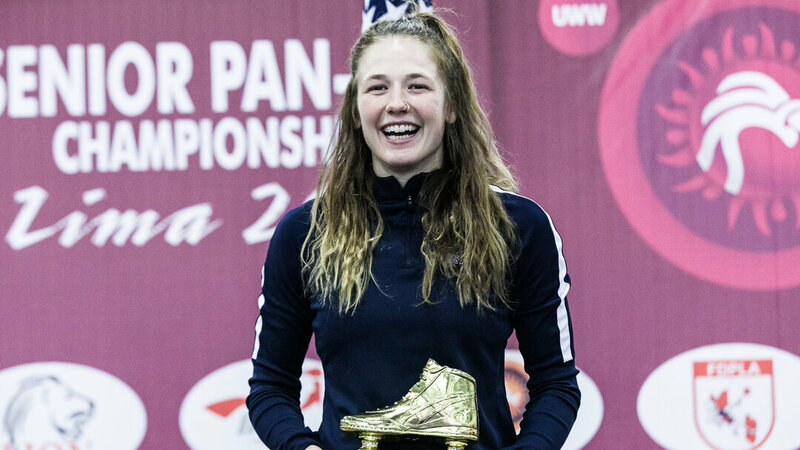 Three-time world champion Adeline Gray (USA), fresh of winning a Pan American title, ascends to No.1 at 76kg in the May 2018 Ranking Series for women's wrestling. She won all three of her matches by fall at the Pan American Championships held in Lima, Puru. Gray is one three Americans ranked No.1 in their respective weight classes. Joining Gray in the top spot are Sarah HILDEBRANDT (53kg) and Kayla MIRACLE (62kg). Hildebrandt, like Gray, is coming off a dominant performance at the Pan American Championships. She went 4-0 with three falls and a 10-0 technical fall. Miracle was a Klippan Lady Open gold medalist in February and recently earned a bronze medal at the Pan American Championships. Turkey has a pair of No.1-ranked wrestlers, Bediha GUN (55kg) and Elif YESILIRMAK (59kg). Both claimed medals at the Klippan Lady Open and European Championships. Gun, a 2016 Olympian, was a silver medalist at the Klippan Lady Open and a bronze medalist at the European Championships. Yesilirmak, a multiple-time world medalist, claimed a European gold medal after finishing with a bronze at the Klippan Lady Open. Mariya STADNIK (AZE), who recently captured her eighth European title, occupies the top spot at 50kg. Other top-ranked wrestlers in women's wrestling include Irina OLOGONOVA (57kg), Petra OLLI (65kg), Laura SKUJINA (68kg) and Jenny FRANSSON (72kg). Olli and Fransson were gold medalists at the European Championships. The 2018 season is the first in which United World Wrestling is utilizing an objective ranking system. The points acquired at continental championships and select rankings series will determine the top four seeded athletes at the 2018 World Championships in October held in Budapest. For more on the Ranking Series format, be sure to check out this article. View all the rankings on United World Wrestling's homepage. CORSIER-SUR-VEVEY (January 17) – United World Wrestling has signed a two-year livestreaming agreement with FloSports for all 2019 and 2020 Ranking Series and Beach Wrestling events. The two-year agreement will include 12 Ranking Series events in 2019 and four Beach Wrestling championships. All events will be available in the United States on FloWrestling.org. 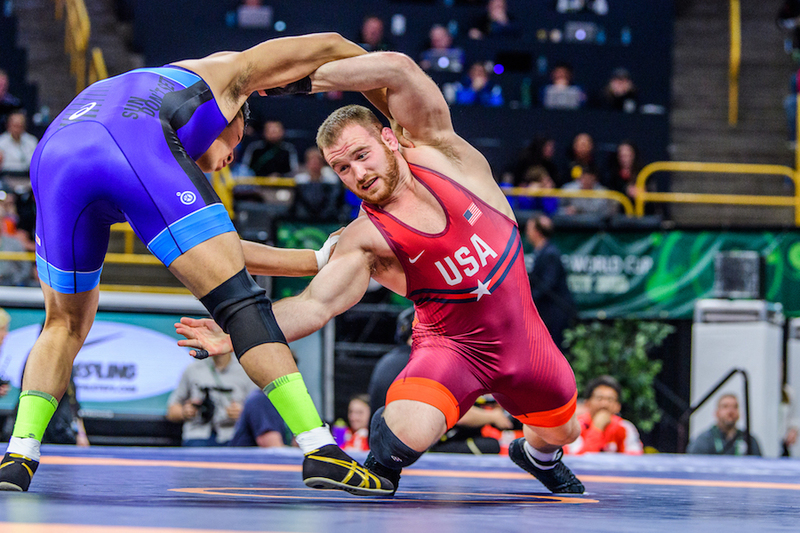 Launched in 2018 the Ranking Series is part of United World Wrestling’s ongoing effort to create a season-long event structure that incentivizes participation by the sport’s top athletes. In addition to a year-end cash prize for the highest point gatherer in each style, ranking points determine a wrestler’s seed at the world championships and Olympic Games. In addition to the Ranking Series, FloSports has also agreed to purchase the exclusive, worldwide rights for the Beach Wrestling Championships. The popular international style will include four United World Wrestling branded tournaments in 2019, starting with a championship in Lisbon, Portugal April 4-7 and concluding in September with the world championships in Croatia. The partnership kicks off later this month with the Ivan Yariguin Grand Prix in Krasnoyarsk, Russia. The Yaryguin, once known as the “toughest tournament in the world” will include ranking tournaments in both women’s wrestling and freestyle. The action begins Thursday, January 24th and concludes Sunday, January 27th. Full coverage of the Ivan Yaryguin and all Ranking Series events can be found on the United World Wrestling homepage and social media accounts.